You have found the right people to deal with your lock and key problems. We will try and beat any other quote you've had,please ask Geoff for further details on this and our special deals on car key prices. Insurance locks fitted,lost car keys cut and programmed,Upvc patio door and window locks supplied and fitted,doors opened Upvc double glazing locks opened repaired or replaced etc etc,give Geoff a call on 02088512405 ask for the cheapest possible price for what your looking for and that is what you will get,no hidden charges,no vat,no call out charge,just an honest price from a reliable locksmith that has been in the locksmith business for over 20 years. This is the place where to get your car keys from,fantastic deals with a excellent service. Call us 0208 851 2405 before you leave or you wont know any of our prices or special deals. >CAR & VAN KEYS CUT AND PROGRAMMED LOST YOUR KEYS OR JUST NEED SPARES,REPLACEMENTS KEYS AND REMOTES-CAR & VAN KEYS,DONT PANIC IF YOU SNAPPED,BROKEN OR LOST.THE KEYS WE CAN REPLACE THEM TODAY,SNAPPED KEYS REMOVED FROM LOCKs or IGNITIONS.OUR CAR LOCKSMITH WILL GET YOU BACK INTO YOUR CAR OR VAN IF YOU HAVE LOCKED YOURSELF OUT WITH NO FUSS OR DAMAGE. OUR AUTO LOCKSMITH WILL HELP YOU IF YOU HAVE LOST OR BROKEN YOUR KEYS,WE WILL BE ABLE TO REPLACE THE KEYS FOR YOU AT THE ROADSIDE OR AT YOUR HOME OR PLACE OF WORK. Call GEOFF DIRECT ON 07956105145 --office 02088512405 SAVING MONEY WHEN IT COUNTS. Our aim is to provide a fast, reliable and friendly service to Surrey, Kent and south London. However, we have not forgotten how important our local customers are. WE WILL TRY AND BEAT ANY OTHER QUOTE YOU HAVE BEEN GIVEN-PLEASE ASK FOR OUR PRICE MATCH DEAL. WE SPECIALIZE IN VW CAR-VAN KEYS, SPARE TRANSPONDERS KEYS & REMOTE KEYS.LOST OR BROKEN KEYS REPLACED. THIS ALSO APPLIES TO OTHER MAKES AND MODELS,PLEASE ASK GEOFF FOR FURTHER DETAILS. THIS IS ONLY WHILE STOCKS LAST. DOMESTIC & HOUSEHOLD LOCKSMITHS SERVICE,LOCKS CHANGED FAST,UPGRADE THOSE OLD LOCKS TO THE INSURANCE STANDARDS. 24hr Emergency locksmiths service available day and night,locks fitted,locks opened if you have lost or snapped your keys,house car or office. No need to go to the dealers,no need to go anywhere,Why go out when we come to you,saving you time,no parking problems,no fuel wasted,no hassle,please ask Geoff to try and beat your previous quotes-price matched and beaten if possible.Special offers on car keys,ask Geoff for further details. GIVE US A CALL 02088512405 WE YOU COULD SAVE ££££££s LET US KNOW THE BEST PRICE YOU CAN GET,AND WE WILL TRY AND BEAT IT,SIMPLE AS THAT. IF YOU ARE LOOKING FOR SOME OF THE CHEAPEST CAR-VAN KEY PRICES AROUND YOU HAVE COME TO THE RIGHT PLACE-GIVE US A CALL AND GET YOUR FIXED QUOTATION NOW. RENAULT CARDS REPLACED IF YOU HAVE LOST THEM OR IF THE DASHBOARD IS SAYING CARD NOT DETECTED. 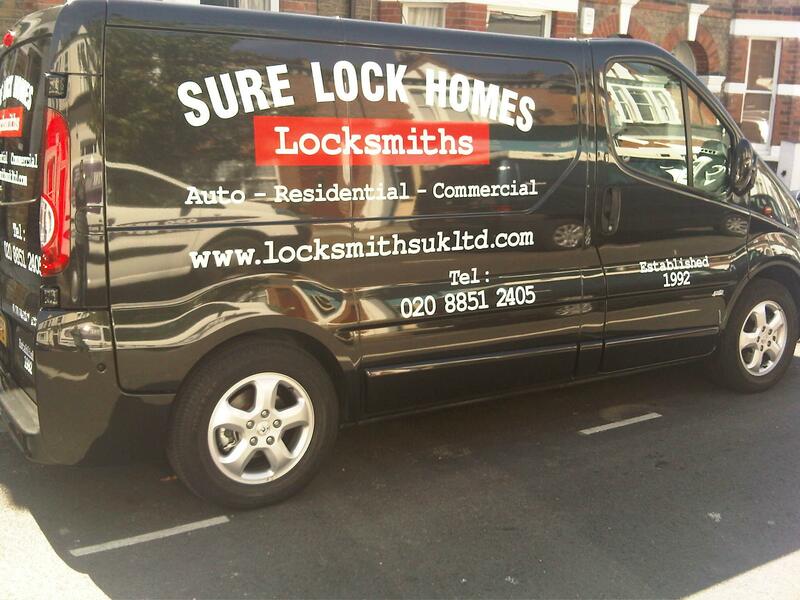 Do you need a car locksmith in South London? You have found them,call 02088512405 all makes and models of car and van keys replaced,lost stolen or broken key replacements. TOYOTA HYUNDAI KIA VW FORD SEAT VAUXHALL SKODA AUDI RENAULT CITROEN,MAZDA, PEUGEOT, ROVER, LEXUS, INFINITY, SUZUKI etc,etc. NOT FORGETTING LEE, CHISLEHURST, LAMBETH, CROYDON, AND MOST ADJACENT AREAS. JUST MOVED IN TO YOUR NEW HOME CHANGED YOUR LOCKS?ARE THEY UP TO THE INSURANCE STANDARDS? NOT SURE? Give Geoff a call he will help you today. WOULD YOU LIKE A PRICE MATCH ? JUST ASK GEOFF,HE WILL TRY AND BEAT ANY OTHER PRICES YOU HAVE BEEN QUOTED. LOST,SPARE,BROKEN,CAR KEYS AND REMOTES REPAIRED AND REPLACED.REPLACEMENT CAR KEY SPECIALIST SAVE MONEY CALL US NOW PRICE MATCH AND SPECIAL OFFERS ALL YEAR ROUND. CALL: Geoff. 07956105145 FOR YOUR FREE ESTIMATE. NEED EXTRA LOCKS FOR THE HOUSE OR OFFICE FITTED-REPLACED-REPAIRED,WE CAN HELP. SURE LOCK HOMES IS A FAMILY RUN BUSINESS THAT WAS ESTABLISHED IN 1992. WE HAVE NO HIDDEN CHARGES AND WE DON'T CHARGE VAT. WE ARE A RESPECTABLE LOCKSMITHING BUSINESS, USED BY MET POLICE,SCHOOLS AND PRIVATE HOUSEHOLDS,YOU WILL SPEAK DIRECT WITH GEOFF SHORTER THE OWNER OF THE COMPANY. WE ARE GENUINE LOCKSMITHS THAT UNDERTAKE WORK IN THE DOMESTIC-COMMMERCIAL & THE VEHICLE SECTORS.CAR AND VAN KEY REPLACEMENT SPECIALISTS. OUR VANS ARE FULLY STOCKED, WITH KEYS, REMOTES & LOCKS ONBOARD. van deadlocks, Slamlocks, Security Handles & Vehicle Alarm systems supplied and installed. NO WAITING FOR THE LOCKSMITH TO COME BACK WITH THE LOCKS,WHILE YOU PAY FOR THERE TIME..
KEY CUTTING FACILITY ON BOARD SAVES YOU TIME & MONEY,AND YOU KNOW THE KEYS WILL WORK. WE DO ALL THE REGULAR LOCK-FITTING-LOCK OPENINGS & LOCK REPLACEMENTS.LOCKS FOR ALL TYPES OF DOORS & WINDOWS UPVC AND METAL DOUBLE GLAZING. WE ALSO HAVE A MOBILE SERVICE FOR RENAULT CARDS AND KEY REPLACEMENTS FOR VANS AND CAR KEYS. VAN SECURITY DEADLOCKS & SLAM-LOCKS SUPPLIED FITTED AND OPENED,VEHICLE IMMOBILISERS & ALARMS,SUPPLIED AND FITTED ON SITE.TRACKERS & ANTI HIJACK. LOST CAR KEYS OR REMOTES? WE CAN HELP YOU,OUR VEHICLE LOCKSMITH WILL OPEN YOUR CAR AND SUPPLY YOU WITH A NEW REMOTE KEY YOU WILL ON THE ROAD WITHIN AN HOUR IN MOST CASES. OUR VEHICLE ALARM ENGINEER CAN DISARM ANY AFTER MARKET ALARM YOU HAVE FITTED TO YOUR VEHICLE TO ALLOW YOU T0 GET HOME,WITH OUR MOBILE SERVICE WE COME TO YOU. . CALL GEOFF ON 07956105145 FOR MORE INFORMATION. With our Auto Locksmiths service We can provide you with a 24 hour emergency locksmith at the roadside. This means no matter whatever your problem we can get you back on the road with the minimum of fuss. Our locksmith will arrive with all the equipment and keys that are need to complete the job at the roadside while you wait.No need to be recovered or go to the dealer anymore,we come to you. Keys & Remotes can be replaced at the roadside whilst you wait this cuts out the main dealer prices and waiting times and expensive towing cost. All our vans are equipped with the latest technology so we are able to programme chipped keys (transponder keys) repair broken keys ,lost keys can be done with the minimum of fuss. A deadlock fitted to a van is a needed extra in today’s market as most standard locks fitted to vans are easily forced opened. GIVE US A CALL TO DISCUSS ANY OF YOUR SECURITY NEEDS. If you have been broken into and you need to change your locks We will send a qualified locksmith to secure your house and repair/replace all locks immediately. Areas Covered SE. SW, LONDON, KENT, SURREY, SUSSEX, AUTO LOCKSMITHS ESSEX. If you need a locksmith with over twenty years of experience,give geoff a call on 07956105145. LOST BROKEN SNAPPED CAR-VAN KEYS & REMOTES,REPAIRED & REPLACED-dont know your codes for your keys? dont worry we can help you get them. LOOKING FOR A TRUSTED AND A WELL KNOWN ESTABLISHED COMPANY ? YOU HAVE FOUND THEM HERE.TRADING SINCE 1992 DONT BE FOOLED BY COMPANIES THAT SAY THEY HAVE BEEN ESTABLISHED SINCE .?? We can prove it can they? BE CAREFUL OF COMPANIES THAT ADVERTISE ON THE INTERNET BUT DO NOT SHARE THE COMPANY ADDRESS DETAILS.